Architectural DWG Design for progeCAD AutoCAD DWG Clone, No learning curve for AutoCAD users. Mechanical/Structural DWG Design for progeCAD AutoCAD DWG Clone, No learning curve for AutoCAD users. Get AutoCAD functionality for 1/10th the cost. Easily draw basic architectural design using walls, parametric windows, doors and more. Support for complex wall structures. Full library of room furnishings (tables chairs etc), kitchen and bath fittings (basins, etc). Specify manufacturer and information tags for schedules and Bill or Materials lists. Fully extensible. Windows 7 32,Windows 7 64, A Library of Blocks Symbols for Electrical, Mechanical, Architectural, Civil Survey, Hybrid DWG Raster Image Editing. Vertical applications for many industries. Google Earth export, Quick Dimensioning, updated spell checker, DIESEL expression support, over 1000 new CAD symbols, right-mouse click context menus, improved speed and reliability, Advanced Data Extraction wizard, one-click text editing, an interactive purge command dialog, and one-click entity grouping, layout print area visualization. eTransmit, PDF, ECW, O2C, JPG, SVG XML image file support, Express Tools, easy-to-use attribute editing, DWG redlining, and Find and Replace text and attribute search, Network NLM, USB mobile, and corporate licensing options, over 300 new hatch patterns. 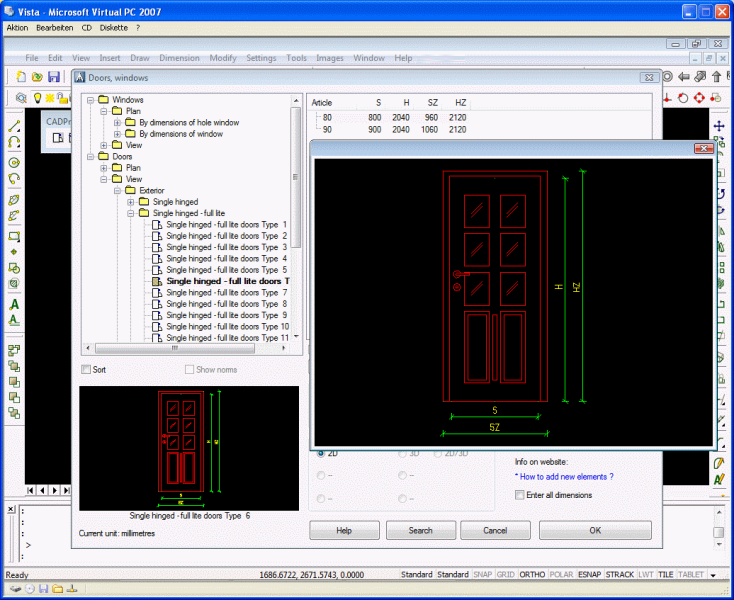 progeCAD Professional IntelliCAD is an easy replacement for AutoCAD and AutoCAD LT!